If you are truly serious about college and ready to work hard to achieve your goals, then you belong at Oxford Prep. We require an online application for consideration of admission to the school. We cannot accept applications from students who do not reside in North Carolina. We give preference to the children of full-time employees, siblings of current students, and siblings of students who attended four years and graduated previously. As per Charter Law, OPS shall not discriminate against any student on the basis of ethnicity, national origin, gender, sexual orientation, or disability. We may refuse admission to any student who has been expelled or suspended from a public school until the period of suspension or expulsion has expired. Please read the full-text version of our admissions policy for more details. It is possible that more students will apply for a particular grade than there are available openings. If this situation occurs, we will admit students for that grade through a blind lottery using Lotterease. At a public meeting, we will run the software to fill all spaces in each grade level. We will place the remaining students on a waiting list in the order of their application number's draw. For more information about how Lotterease works, we encourage you to view our Lotterease parent manual or visit the Lotterease website. Oxford Preparatory School invites prospective students to spend time visiting the school to experience our unique school program firsthand. Visiting students accompany OPS student guides through their classes during a four-hour visit. This is a wonderful opportunity to meet our staff and the students and to get a snapshot view of our engaging college preparatory classes. Please call the Oxford Preparatory School office at (919) 690.0360, or email our office manager, Karen Brown, at karenbrown@oxfordprep.org to make an appointment. November 12 - 11:00 a.m.–2:30 p.m.
December 7 - 8:30 a.m.–12:00 p.m.
January 18 - 8:30 a.m.–12:00 p.m.
Oxford Preparatory School invites families of prospective students to learn more about the unique offerings of the school at one of our information sessions. Following each session, we conduct tours to allow guests the opportunity to meet faculty and students. November 15 - 6:00 p.m.
December 4 - 6:00 p.m.
January 19 - 10:00 a.m. The application period for the 2019–2020 school year opens October 29, 2018. The application period for the 2019–2020 lottery ends February 1, 2019, at 11:59 p.m. We will place applications received after February 1, 2019, at the end of the waiting list as determined by the lottery. The lottery will take place Saturday, February 9, 2019, at 10:00 a.m. in the OPS gym. Applicants accepted through the lottery will need to confirm their enrollment by submitting a completed enrollment packet by March 15, 2019. We will no longer accept paper copies of the student application. The online application form will be the only application form accepted for application to OPS. Applicants must also register in Lotterease, the lottery program. 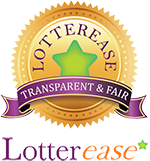 Please visit the Lotterease website during the application period to register for the lottery. To obtain a vaccine, visit your healthcare provider or the Granville-Vance District Health Department website. For information about the HPV virus and vaccination, visit the CDC website.